Welcome to the beach! We open our home to you, your family and friends. This home and property was originally built as a family, beachfront vacation home and our intent is to share this wonderful home for years to come. This home has 4 bedrooms and 2 1/2 baths and Air Conditioning in all of the bedrooms. Not to mention, the perfect beach right outside your back door. (In the event you need more room, we also have a unique Hawaiian cottage on the 150' wide property. It is a very special Hawaiian home built in the 1960's. It has 2 bedrooms, 2 baths and sleeps 6 guests. This adjacent home can be viewed at Homeaway #325416. If you would like to rent both houses together, you will be able to sleep 16 guests.) The property is in a quiet residential neighborhood. One block away is the heart of Kihei Town. Local Restaurants, Pubs, Fast food, Music, night life, drug store, Kaiser and so much more. Beautiful tropical plants adorn the property, including 40+ palm trees and a 100+ year old Banyan Tree. Banana trees, lemon tree and coconuts. Coconuts are trimmed from the trees twice a year, it is an amazing experience to see the men shimmy their way up the trees and cut the coconuts out. The house is a beautiful 4 bedroom, 2-1/2 bath home that sleeps 10 quests. Two of the bedrooms have king-size beds, a third has 2 queen beds and the 4th has 2 twin beds. The house has beautiful maple flooring, granite countertops and maple kitchen cabinets. All 4 bedrooms are located on the 2nd story with a large deck (12 x 24) that overlooks the ocean. Both of the king bedrooms have sliding glass doors that access the large Lanai. Morning coffee is a must from this location as you watch the Ocean awake. It's like sitting on top of the world! All of the beautiful furnishings are comfortable, making it easy to feel at home, relax and enjoy your vacation. The kitchen is fully stocked (including a blender, toaster oven, microwave and Hawaiian dish ware, rice cooker, coffee pot), The kitchen has great counter space and the dining table expands to seat 12 guests. Relax on the large lanai facing the lawn and beach beyond, or lounge on deck chairs on the lawn. This home has everything you will need to enjoy your vacation---you feel at home the moment you walk in. You would never know you are one block from the main road of Kihei Town. There is a hand built Lava rock wall that fronts the property. There are a few reasons we decided to have the wall built. Reason one, we want our guests to feel comfortable and secure and also for our guests can enjoy the wall and discover the beauty of fabric of our Island. The Lava. The house is adjacent to a 2-bedroom house under common ownership, which is also available to rent. UNFORTUNATELY, WE DO NOT ALLOW WEEDING AND/OR RECEPTIONS ON THIS PROPERTY. THIS IS A GREAT PROPERTY TO HOUSE YOUR GUESTS IN, BUT NO FUNCTIONS ALLOWED. A groundskeeper lives on site and can be reached by phone. It is very difficult to find a Legal Beachfront Vacation Rental, directly on the beach. We have been accepted by the State to Legally rent our homes for short term rentals. But to find a property that is 150' wide with a huge lawn area that will lead you to the white sandy beach., very difficult!! You are able to rent just the 4 bedroom -2 1/2 bath home, if that is all the room you need. Your home is still very private and neither home can see each other from their respective lanai's. ALL AMMENITIES ARE PROVIDED IN ALL BATHROOMS. WHITE TOWELS, SHAMPOO AND CONDITIONER, BAR SOAP, HAIR DRYERS AND TILED BATHS. PLEASE CHECK OUT THE PHOTO ON THIS SIGHT. THESE PHOTOS ARE ACTUAL PHOTOS OF OUR BEACH. FOREVER VIEWS. THE HOME IS LOCATED ON A VERY PRIVATE SANDY BEACH. HOME IS LOCATED IN A RESIDENTIAL NEIGHBORHOOD, SO YOU DON'T HAVE THE TOURISTS, THAT OTHER BEACHES HAVE. QUIET LOCATION FOR COFFEE IN YOUR ROBE! ALL LINENS, INCLUDING BEACHTOWELS, BATH TOWELS, ARE INCLUDED. CONVEINENT WASHER AND DRYER COMBO ON LOWER LEVEL. PLEASE DO NOT BLOCK STREET MAILBOXES BETWEEN 12 AND 3PM. PARKING ON PROPERTY IS PROVIDED. THERE ARE 4 DESIGNATED SPACES FOR YOU. YOU WILL RECEIVE MAP TO DIRECT YOU TO PARKING AREA. Password Protected. Password provided to guests upon arrival. LARGE LIVING ROOM AREA WITH OCEAN VIEWS AND COMFORTABLE FURNITURE. LARGE SCREEN TV AND DVD PLAYER IS PROVIDED. BEAUTIFUL MAPLE CABINETS, ALL UNTENILS, COFFEE POT, RICE COOKER, TOASTER, TOASTER OVEN, CROCK POT, BLENDER. MASTER BEDROOM AND LIVING ROOM AREA HAVE TELEVISIONS. LARGE PATIO AND DECK. LOWER PATIO HAS 2 6' TABLES AND THE BBQ. Many Golf courses nearby. The nearest is MAUI NUI GOLF CLUB, just 4 blocks from the home. Large Kihei Aquatic Center located 4 blocks from the home. Has pools for all swimming levels and is free to the public. THIS IS VERY UNIQUE PROPERTY IN THAT IT HAS 2 HOMES ON THE SAME BEACHFRONT PROPERTY. GREAT FOR FAMILY REUNIONS, ANNIVERSARIES, BIRTHDAYS...ANY LARGE GROUP OR JUST RENT ONE HOME FOR SMALLER GROUP. BOTH HOUSES RENTED TOGETHER SLEEP UP TO 16 GUESTS. Superb home, superb location, a perfect piece of paradise! This house has it all! An amazing view on a quiet street that comfortably housed our party of 9. The house and lawn are beautiful and well taken care of, and the kitchen had everything we needed. Beach towels, chairs, shoes, toys, and boogie boards were provided. Shopping within walking distance. A quiet beach that kept our whole family (ages 10 to 70) entertained. We would not hesitate to stay here again! Mahalo!!! Thank you so much for the absolutely wonderful review! It really makes us so happy to see reviews like this, as we do try hard to make our homes the perfect place for our guests. Thank you so much for taking the time to share your experience with others! We look forward to having you and your family again soon! We had such a wonderful stay at this beautiful beach house! Our group consisted of 10 people; 3 generations of our immediate family ranging from 14 months old to 60 years old. The location was perfect and offered all we needed. The beach is in the backyard, just beyond a lush green lawn, banyan tree and palm trees. The house is spacious and airy. The 4 bedrooms are very roomy and the beds very comfortable. The double master bedrooms have a spectacular view. Beach towels, toys and boogey boards were available. Many shops and grocery stores are within walking distance. We had most meals on the lanai and grilled several times. The kitchen has everything you could possibly need! We had a meal from a lovely restaurant called Nalu’s which was just down the street. We had a few minor requests when we arrived and they were tended to by Brian Reed and his staff immediately. We appreciated the quick response very much!!! The vacation was absolutely the best we’ve had. A paradise on Earth!!! Thank you so much for your kind review of our home and property. We are happy you enjoyed your stay and had a memorable vacation. We certainly enjoyed hosting your stay and it was a pleasure working with you. Please come see us again when your future travel plans include a return to “paradise”. This fantastic property made our family vacation an amazing experience. We stayed here 7 days and had a terrific time. The house and property are amazing, with very few flaws that we couldn't work around. There were 6 adults and 3 children (ages 3 and 6). The yard and beach were awesome. The kids were able to run around and work off extra steam as well as have some great times! Beach toys were available for the kids to use. We saw turtles on the beach daily. The beach is a little rocky and ocean were a little rocky, but not so much that you couldn't walk along the shoreline or have fun. Brian, the property owner, was always available for questions or issues we might have had, which were very minor. My wife was honestly afraid that this property wasn't going to be what we had hoped, but she was extremely happy with it once we got there and were able to settle in and have just a great family vacation. Lots of eating and shopping close by, but we did venture to Lahaina several days. The drive was a little longer then we had hoped, but that was due to construction in the area. Overall, we had zero complaints and would definitely recommend this property and we will hopefully be back next year! Thank you Brian for making our stay so wonderful! Thank you very much for your nice review of our property. We are happy you enjoyed your stay and look forward to your return. FABULATASTIC - and then some!!! This was absolutely THE BEST experience ever!!! The property location couldn't have been more ideal for us, which was the primary reason I chose it. 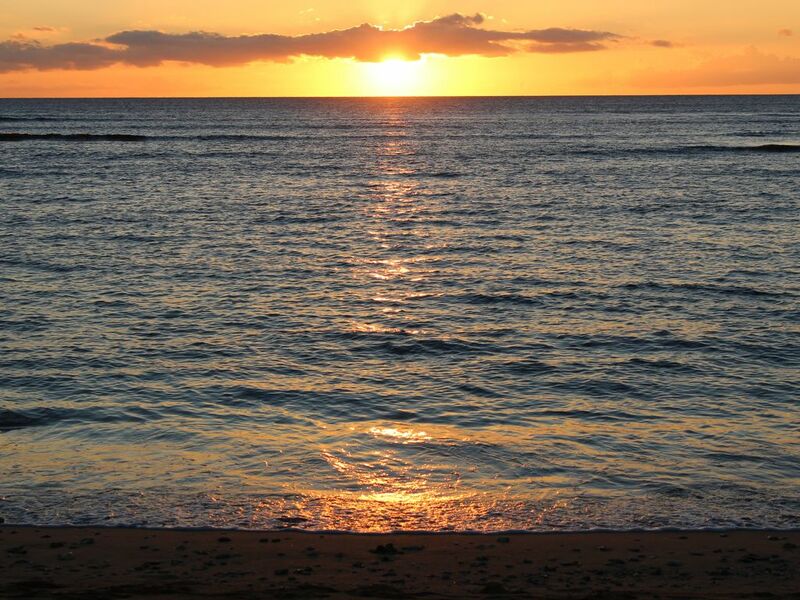 Walk across the pristine lawn to the beach and enjoy the solitude, sea turtles in the late evening coming to shore, absolutely the most beautiful sunsets, and early morning coffee as the island wakes with birdsong and 360 degrees of sunrise color. Since it's a private beach shared by others in this neighborhood, it's very quiet and relaxing. The house was well equipped with everything we needed, and truly felt like home away from home. We came to Maui to celebrate my 60th birthday, and run my first marathon, the Maui Oceanfront Marathon. My family and I thoroughly enjoyed our 6 days here in paradise!!! Thank You!!! Property was beautiful. The beach was great for our grandkids for building sand castles. It is rocky for swimming right in front of house but just a short walk down the beach is great swimming. The house was spotless and Brian was readily available when needed. The house has absolutely everything you need to make your stay wonderful. There was plenty of room for our family of 8. Lots of great restaurants nearby but we also did a lot of barbequing at the house. A great grocery store withing walking distance and a couple of others about a 5 minute drive. High chair and playpen were available as well as plenty of kids toys. The upper deck was a great spot for our morning coffee. We would highly recommend this property. Words can't express how awesome this Beachhouse was for our family of 10, including 3 toddler Grands! It definitely filled all our wishes of what we wanted in a private Beachfront "Home", to be able to celebrate "family"! It provided us all the comforts of home with lots of space for everyone, especially the huge backyard with its lovely Plumeria trees AND the beach and ocean just beyond...totally an oasis for us all!! It had everything we needed from the Pak n Play for our youngest Grand, to well-stocked beds and bathrooms, a well-equipped kitchen and laundry area, internet access, an outdoor gas grill, lots of outdoor seating, beach towels, swim/beach toys, and lots of yard toys! The house is in a quiet and peaceful neighborhood, yet so close to lots of shopping, parks, restaurants and activities in this friendly, laid-back community of Kihei. Being there for 11 days in October, we witnessed spectacular sunsets over the ocean as our family ate dinner out on the lanai and we loved seeing the full moon glistening over the water from the upper deck at night...amazing!! We did lots of sea turtle-watching in the early morning before sunrise and late at night as they come to shore to sleep...just wow! We certainly experienced Paradise here...it was hands-down the absolute perfect setting for a "Grand Hawaiian Vacation"! Mahalo, Brian and Mitzi for helping us fulfill our dream!!! Private House, Central Kihei, South Maui, HI. One block, walking distance to all Kihei Town has to offer. THERE IS ALSO ANOTHER 2 BEDROOM 2 BATH ADJOINING BEACHFRONT HOME WHICH CAN BE RENTED TOGETHER WITH THE 4 BEDROOM HOME. IF YOU WOULD LIKE TO RENT BOTH TOGETHER, YOU WILL BE ABLE TO SLEEP UP TO 16 GUESTS, MORE PRIVACY FOR EACH FAMILY. IF YOU PRICE THE COST OF RENTING BOTH HOMES, 6 BEDROOMS 4 1/2 BATHS, THE PRICE IS about 1/2 THE PRICE OF COMPARABLE HOMES. The expansive lawn area is a wonderful area for adults and children, as well. Climbing the 100+ year old Banyan Tree is a favorite past time for all. Be sure to take a family and friends photo in the Banyan Tree, it makes for wonderful photos. Other Activities: Kihei Aquatic Center (has 4 swimming pools, including a toddler pool, dive pool, lap pool and a general swim pool, open 7 days a week and it's free to use! )Shopping, Boating, Kayaking, Shelling, Health/Beauty Spa, Basketball Court, volleyball, skating, children's park. Hawaii Tax I.D. TA_160-886-7840-01 We do not allow WEDDINGS and/or RECEPTIONS on our property.